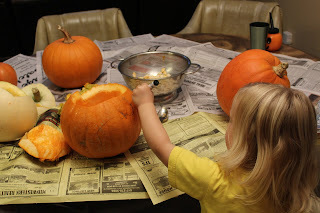 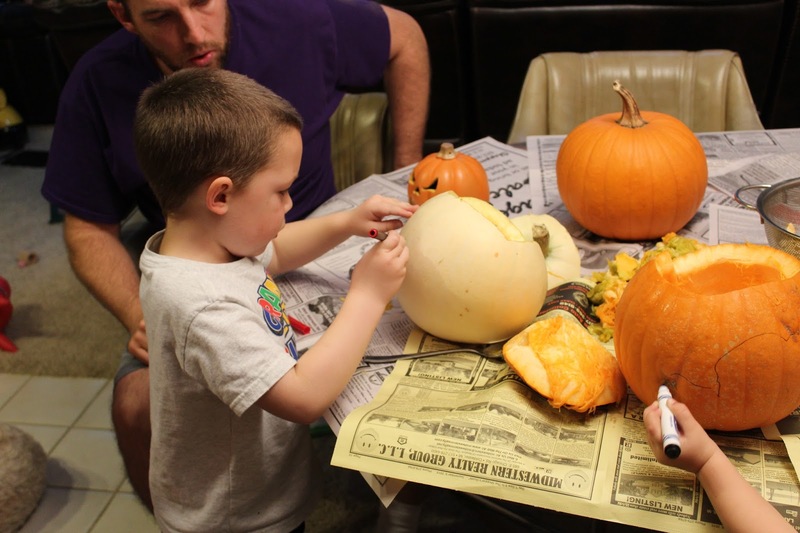 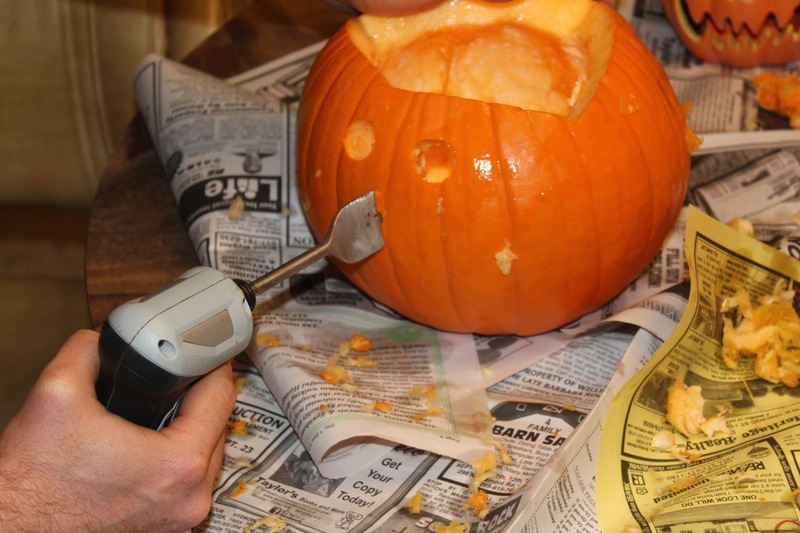 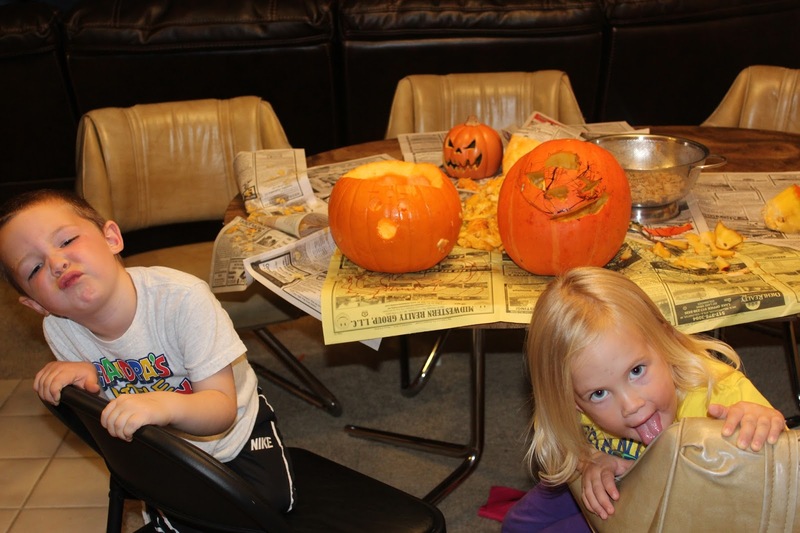 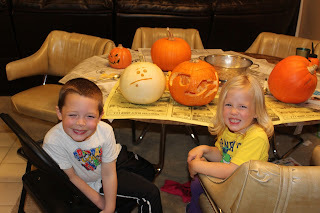 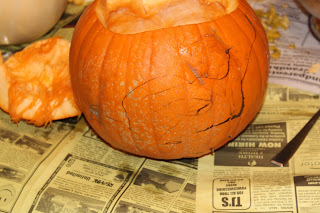 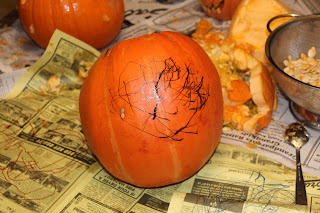 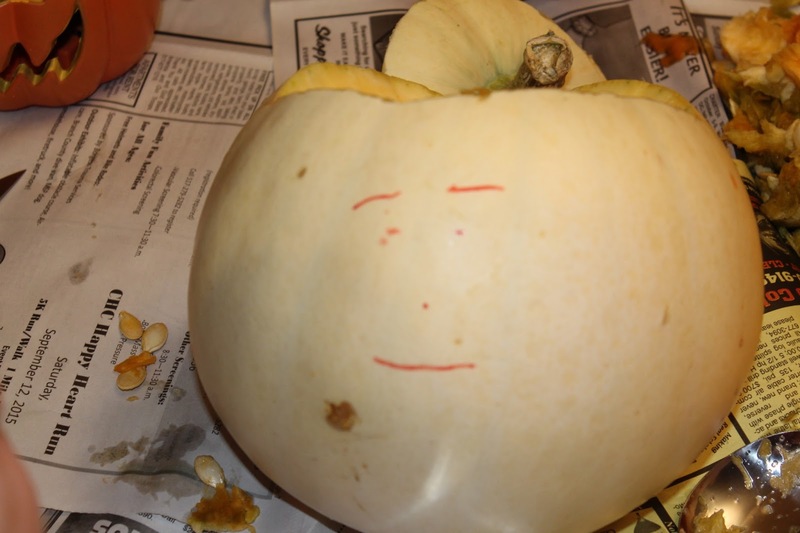 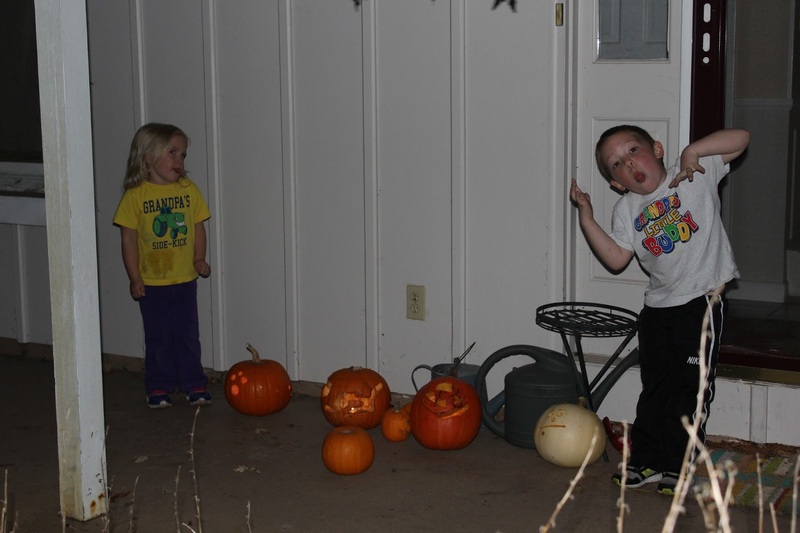 The Hayes Homestead: Pumpkin Carving! They did great and so did you and Jason! 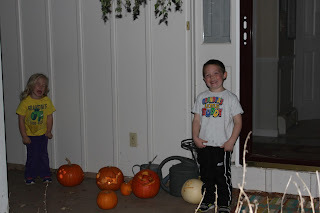 *wink* Do you use the battery lights or do you use candles? 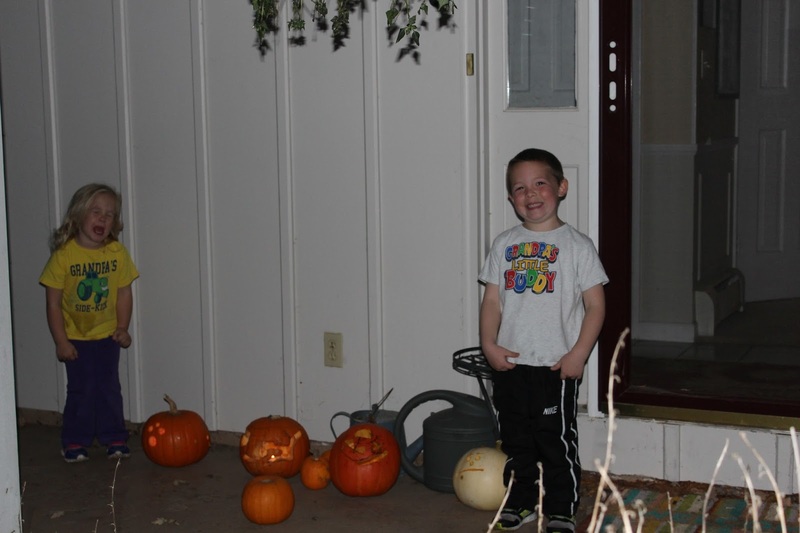 I love how the pumpkins are so bright. 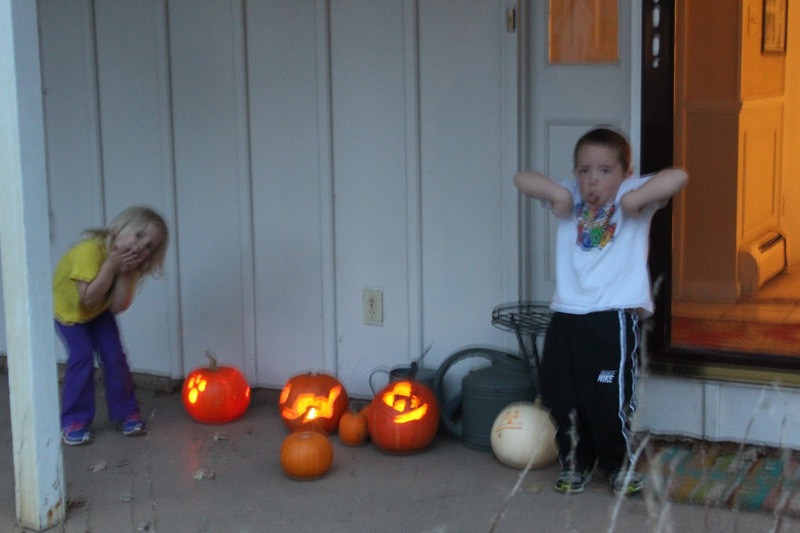 Happy almost Halloween!